My goal was to reach 1.5 billion isk before I logged off. 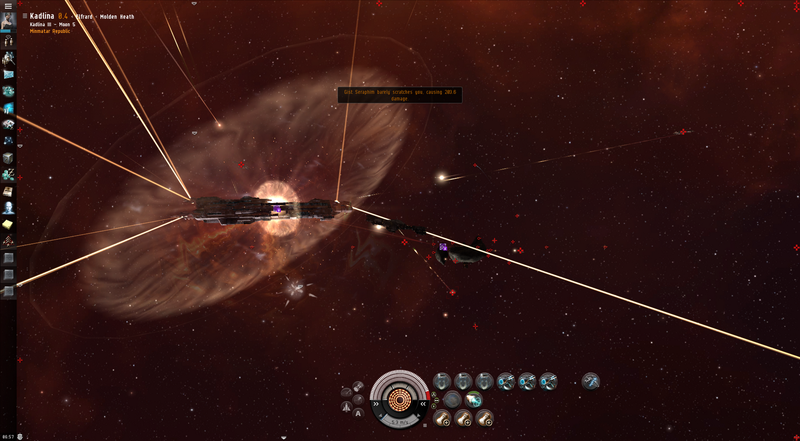 That was hindered a bit by my Myrm refit and the money that I had to drop on the rigs for it. I broke down, ate my pride and crawled to my pirate to ask him to give me a fit for my Myrm. What I had was not working out. As in, it was useless. So he sat down and took the time to build one and explain it out. I rebuilt it and I was surprised that I did not have any problems making anything fit. The only adjustments was that I added my drone augment link and my drone navigation link. These two links, I learned randomly one night are very useful. They make my drones better and faster. My drones are my DPS. Think pets in another game. So, when I gave my pirate the fit that I had created off of what he suggested he was pleased with my drone links and quizzed me on why. My reasons were approved of and I was happy. One of my friends asked me if I wanted to mission. Seems he doesn't like to mission solo either. So, we did a few missions together and then I did some alone. I can do them, but some are still taking quite a while. My damage, in the end, is still very weak. But, its much, much better then it was. Plus, I can now tank the damn things where as I could not before and often ran within sixty seconds of entering a room. So, I have a new found confidence that embarrassed me. I am so stuck on this need to prove that I to can run missions that I'm a bit disgusted with myself. 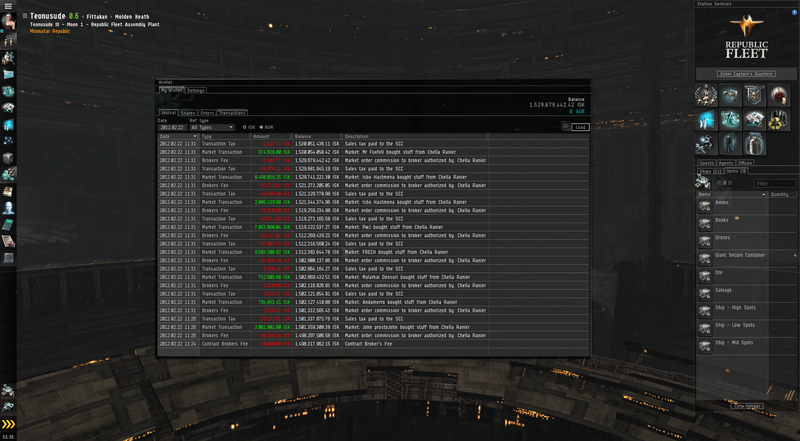 However, I did salvage after myself and make a nice chunk of extra isk. That is what led to the burning desire to reach the 1.5 bil point. ISK has been coming in fits and spurts. I've been doing courier contracts for instance. Nothing major or very long but its a few mil here and there. Now that I can run missions that may increase. However, during one bad part where I had to run I wound up in half armor. Repairing myself cost 2mil plus I lost about 4 drones all told and thats about another 1.5mil right there. So my mission gain was a bit of a wash at the end of the day. However, I can now pull level 4 missions. Hopefully, by the end of the month I will be able to pull level 5 missions as well. Once that happens, my corpies can join in and we just have more missions to farm. I got in one level 5 mission today. I do get attacked in the missions. My pirate keeps me repped but I often have to bounce and come back in. Normally, you'd wait and start salvaging after the mission was done. But this is low sec and time is important. Someone may decide to try to probe us out at any time and I'll probably loose all of the salvage because of it. So once aggro is established, I start working and if I get attacked I roll out and come back. It is a risk vs reward situation and the reward is always very good. I probably average about 50mil a mission in salvage. Sometimes its up to 70 mil or so depending on what is dropping. I have to stop telling people I do these missions. No one freaking believes me. It seems that it is an insane thing to do. I watch people argue about level 4's up one side and down the other. I am not supposed to be an almost three month old toon in low sec flying a Noctis to salvage level 5 missions with pirates. Whoops. With my level 3 salvage I had a nice selling time after the level 5 but it was still not enough. Plus, I was about 30 mil short of my goal. This problem had to be resolved and some of that is through the use of my LP. We had discussed LP (loyalty points) earlier and how they converted into ISK. It is not a direct convert. I'd used some to buy implants before to resell for instance when I was heading to my billion goal. Today, I was going to try skill books. I went to Eve Central to look at where the skill books were selling for the most. Just go to Jita may be a good mantra but following a buying path is even better. Rens and Hek are my nearest trade hubs. For most salvage they are good. However, they are both right next to Minmatar space which means Minnie stuff is going to be more common there. Where are the skill books the rarest? 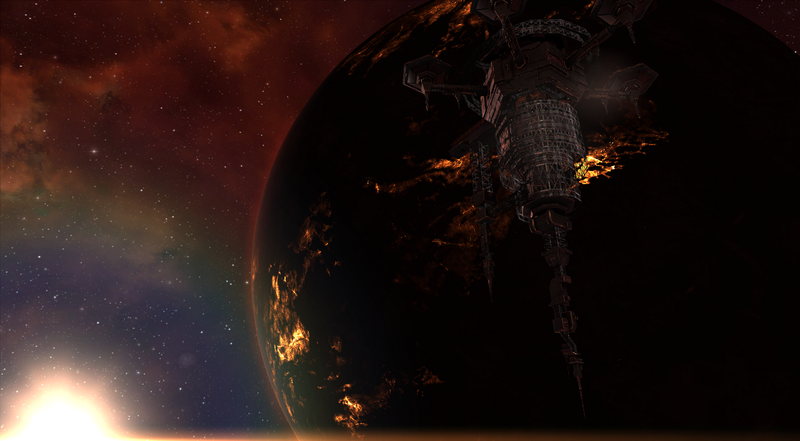 It turned out, that was Amarr, the second largest trade hub in the game. 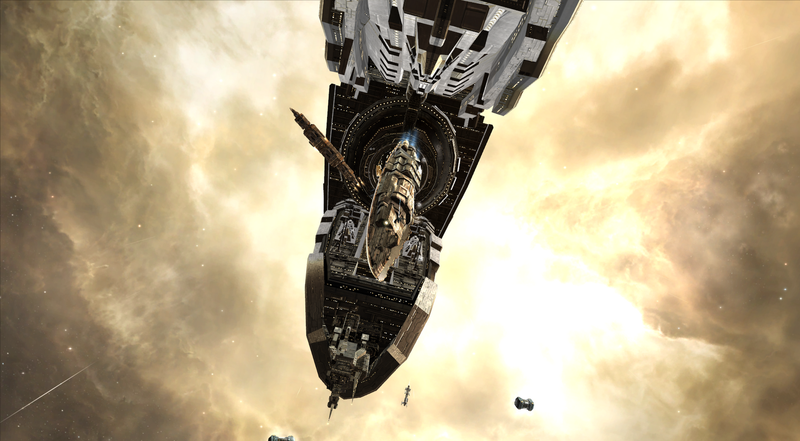 Leaving Amarr after putting my skill books on the market. This type of station is called a 'spitter' I have learned. It spits you out and decreases the ability to quickly redock. Bad in PvP situations. Cool as all hell for pictures in high sec. My first one sold on the way home. My friend also wanted some skill books and faction ammo. The numbers were adding up. I was excited because I was now only a few million off. But downtime hit and I wondered what I would do. I then remembered the hoard of minerals I've been sitting on for the last month along with a stack of ice. I sold all of it. Orgionally I was going to build a Noctis out of my salvaged reprocessed minerals but after a month I was not even close to having enough. Now I am content for the day.